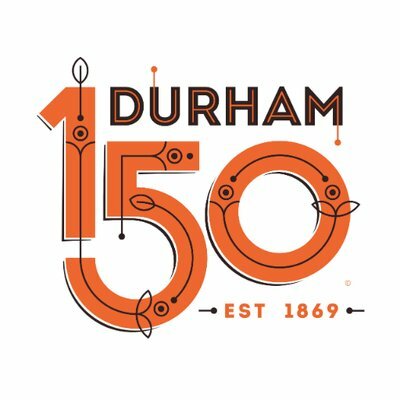 The Durham 150 Opening Celebration Presented by Aetna is where Durham’s dynamic community and 150 years’ worth of the city’s treasured history meet. You’re going to want to be there. The Opening Celebration starts promptly at 10 a.m., and festivities continue until 2 p.m. on Saturday, April 13. Themed neighborhoods in the American Tobacco Campus (ATC) will highlight the four pillars of Durham 150: History & Education, Innovation & Entrepreneurship, Social Equity & Robust Democracy, and Arts & Leisure. Each neighborhood will feature local experts, artists and community leaders hosting exhibits, crafts, and demonstrations. Visit all four to enter drawings for prizes that will include entertainment and staycation packages from Durham businesses. Mayor Steve Schewel will kick off the official recognition and fanfare at 10:30 a.m., inviting everyone to enjoy complimentary birthday cake. Other activities include live performances, a story kiosk, a photo mosaic mural, and a “Running of the Bulls” race of floatable bulls down the ATC river. Join us, family, friends, Durhamites, and visitors — Durham 150 is bound to be unforgettable.